My son has already sampled octopus at a sushi restaurant, so he was familiar with it. I find it’s easier to get him to try things when we’re out at restaurants. He’s only ever eaten baby octopus though, and when he saw these huge octopus tentacles, he was a little put off. But with some encouragement, we got him to try them, and now he loves adult octopus too. For this recipe, you can use either baby octopus or adult octopus. I bought a large octopus at a local fish market and took it home. It had already been cleaned and was frozen. Big octopus can be tough, so it’s a must that you boil the tentacles first for at least 20 minutes. This helps to tenderize the meat. And don’t worry about salting the water, octopus is salty like an oyster. While the octopus was cooking, I made some fresh pineapple salsa with chopped pineapple, fresh cucumber, red onion and cilantro. This salsa compliments the salty octopus so nicely. I also made a simple spicy mayonnaise with sriracha. This gives a nice kick to these tacos. After the octopus is done, remove it from the water and pre-heat a skillet over medium heat. Drizzle the pan with sesame oil, or canola oil, and lightly sear the octopus on both sides. You can also lightly brush the tentacles with oil and grill them over medium heat for just a minute or two on each side. After they’ve been seared, just chop them up. If the meat is still chewy, chopping it up in tiny bite-size pieces makes the octopus easier to eat. Next, you lightly fry your corn tortillas in canola oil until browned. Then top the tortillas with chopped tentacles, pineapple salsa and some spicy mayo. 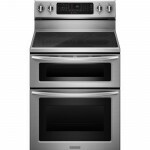 I used my KitchenAid® Electric Freestanding Double Oven Range to make this dinner. I love how quickly the stove-top heats up. It makes boiling water for things like octopus so quick, and searing meats so simple. I’ll never forget my first time using this stove. It was to make some scrambled eggs, and I burned them! The stove just got way too hot too fast, and I wasn’t use to it. But now I absolutely love how quickly it heats up. I save so much time in the kitchen. 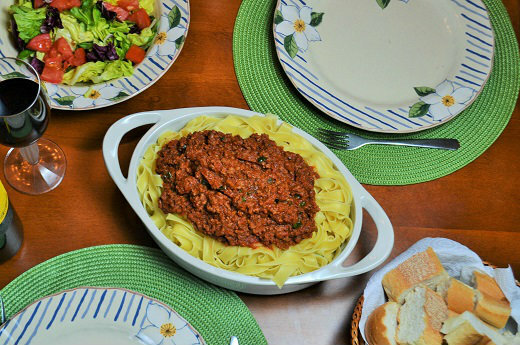 I also used my KitchenAid® Tri-Ply Stainless Steel Cookware. I love them because they have very thick and heavy bottoms that hold and distribute heat so well. 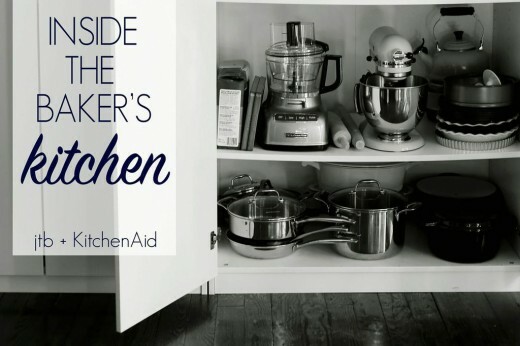 Add octopus to a large 8 quart stockpot (KitchenAid® Tri-Ply Stainless Steel Cookware). Add 4 quarts water and bring to a boil over medium heat. Boil for 20 – 30 minutes, or until octopus is done. After octopus is done, remove from water and place on a plate. Combine all ingredients for pineapple salsa to a medium mixing bowl. Mix well and set aside. Combine all ingredients for spicy mayo and mix well. Set aside. 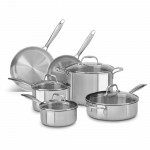 Heat a medium skillet (KitchenAid® Tri-Ply Stainless Steel Cookware) over medium heat. 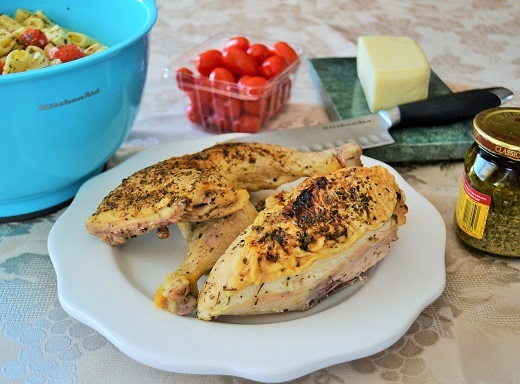 Drizzle pan with sesame oil. Add octopus tentacles and lightly sear on each side. About 1 – 2 minutes per side. In another medium skillet (KitchenAid® Tri-Ply Stainless Steel Cookware) heated over medium heat, add 1 teaspoon vegetable oil. Add small corn tortillas to skillet and lightly brown on each side, 1 – 2 minutes per side. Continue cooking all 8 tortillas, adding additional vegetable oil as needed. 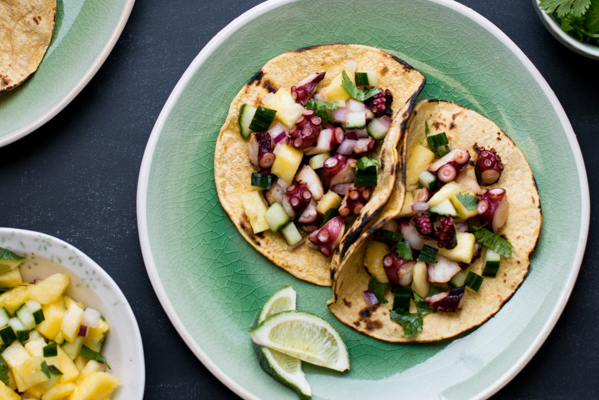 To serve tacos, place two tentacles on a fried tortilla and top with pineapple salsa and spicy mayonnaise.